Known as the King of Swing, Benny Goodman did more to popularize the style than any other artist. A native of Chicago, Goodman was a serious musician who lived and breathed jazz. He began working professionally at thirteen after lying about his age to get a union card, and in 1926 he joined Ben Pollack’s orchestra and toured the country before settling in New York as a studio musician in 1929. In the early 1930s, jazz patron John Hammond realized Goodman’s potential and introduced him to the swing style being played by African-American bands in Harlem. 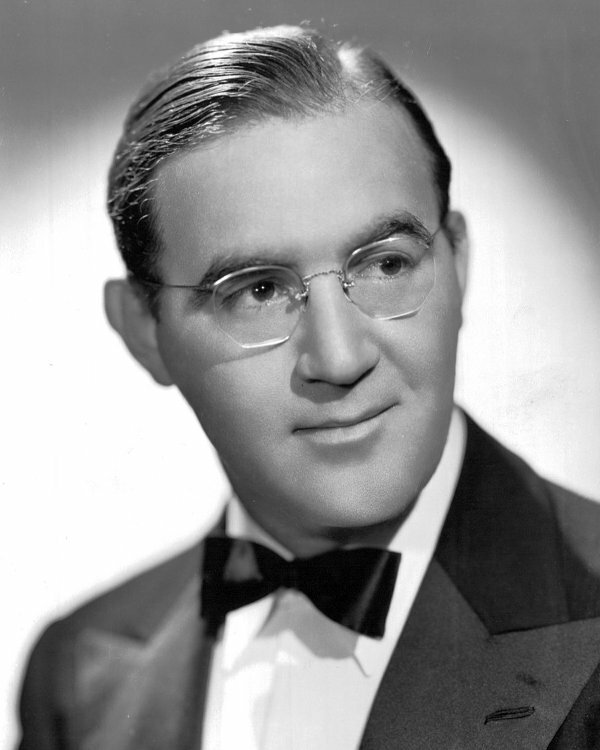 Goodman formed a few short-lived orchestras before putting together what would become his most-famous outfit in 1934 for a booking at a new nightclub owned by showman Billy Rose. The orchestra initially played standard jazz music, but after being fired by the club’s mobster backers, the group landed a radio job on NBC which required them to play hot jazz. Goodman began to expand his book with songs from black arrangers and finally hired Fletcher Henderson to write original arrangements for the band. Henderson had pioneered the swing style during the mid-1920s and had led one of the top African-American orchestras of the era before falling on tough times. With Henderson’s arrangements and Goodman’s talent as a leader, the band solidified its sound. That sound didn’t always go over well with white audiences however. After the radio series ended, Goodman had a run of failed club appearances. Sent on a cross-country tour by his agent, Goodman encountered negative reaction all along the way until he reached Oakland. For the first time the band scored a resounding success, followed by another at the Palomar Ballroom in Los Angeles. Radio broadcasts from the Palomar helped spread the word from coast-to-coast, and Goodman’s orchestra was suddenly the hottest in the country. The swing era had begun. White audiences were hooked. Goodman’s band remained highly popular for a several years, reaching its high point in January 1938 with its famous concert at Carnegie Hall which left tuxedoed guests dancing in their boxes. By that time though, the swing craze had begun to subside, and a string of departures in late 1938 and 1939, including those of Gene Krupa and Harry James, put stress on the group. Then in late 1939 Goodman was diagnosed with sciatica. He tried to continue leading the orchestra but in July 1940 was forced to take a leave of absence while he underwent treatment. He returned in October, and the orchestra went through another series of personnel changes, which briefly stabilized it, but by the end of 1942, Goodman’s band was beginning to feel the effects of the draft. He attempted to revitalize it and briefly succeeded in early 1943, but by the end of that year he finally gave up and disbanded, using studio musicians to fulfill obligations. Goodman made another try after the war, forming a new orchestra in 1945. Though the band was a critical success, the public’s taste in music was changing, and Goodman, realizing the inevitable, decided to pull the plug for good in late 1946. He continued performing but not with a group of his own until the late 1950s when he led orchestras on goodwill tours around the world.